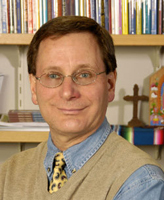 Timothy Matovina, professor of theology and director of the Cushwa Center for the Study of American Catholicism at the University of Notre Dame, has for years had a scholarly interest in this swelling and, as yet, uncrested current of Catholic and American history. His new book, Latino Catholicism: Transformation in America’s Largest Church, published by Princeton University Press, closely considers the five-century-long history of Latino Catholics in America and how that history has affected them and their Church. “It’s an important story because Latino Catholics are changing the Church and the Church is changing them,” Matovina says. Matovina’s study itself is changing, or at least challenging, the conventional narratives of American Catholic history, which tend to concentrate on the experiences of the European Catholic immigrants of the 19th century and the gradual assimilation of their descendants into middle class American life. The predominance of these “Euro-Americans,” not only in the history, but also in the contemporary leadership of the Catholic Church—its bishops, priests, ministers, educators, and active laity—can obscure the facts that large numbers of Spanish-speaking Catholics have lived within today’s national borders for twice as long as United States history, and that Catholic dioceses had been established and Marian shrines were attracting pilgrims here long before the landing of the Mayflower and the establishment of the colony at Plymouth Rock. 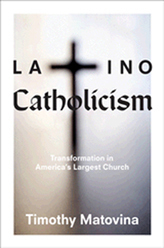 In addition to its assessment of the Latino Catholic past in America, Matovina’s book concerns Latinos’ contemporary efforts in living out and celebrating their faith, and the nationwide effects that these efforts have had in Catholic parishes and ministries as well as on social movements, politics, and voting patterns. As an expanding and largely working class Latino population makes its presence increasingly palpable and its voice increasingly audible in the life of the Catholic Church in America, the familiar disagreements between “progressive” and “traditionalist” Catholics will be given a new context. Matovina’s account emphasizes that the rise of Latino Catholics confronts the Catholic Church in America with a profound and tumultuous challenge, but it also illuminates that challenge and reveals it as a blessing.